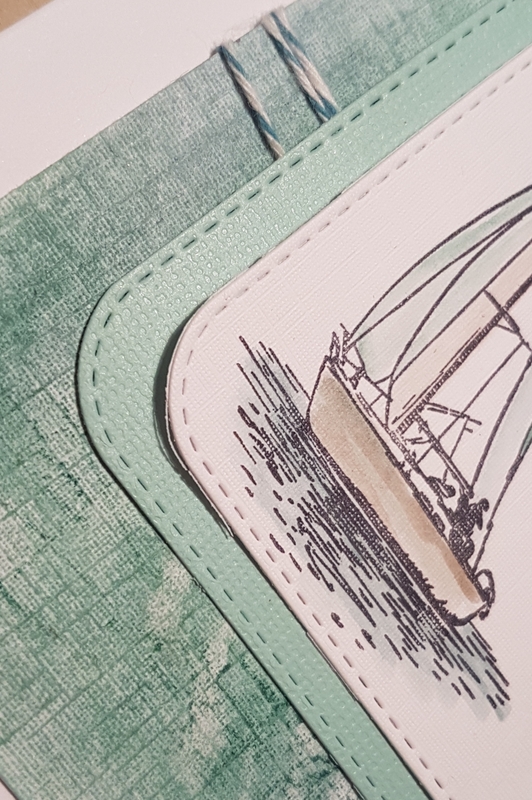 Today I have two cards to share that are both very similar but at the same time different!!! I didn’t have a plan when I started other than I wanted to get my distress crayons out as I haven’t played with them in a while. So I grabbed the more muted set of the two sets I have and started creating a background. I blended the green and blue colours with water and my fingers and then used distress crayons direct to the world map stamp and spritzed it and stamped it down. The impression of the stamp is only light but it adds some pattern to the background. I also added the stamp to a piece of plain white cardstock and again got a light impression of the pattern. 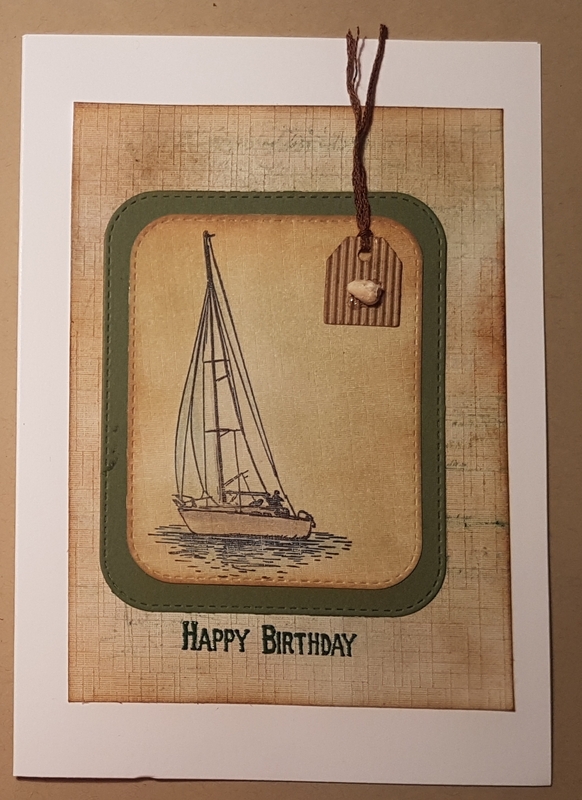 To the white piece I then added some old paper and vintage photo distress ink blending as I wanted one to have a vintage look and the other to be fresh and clean. 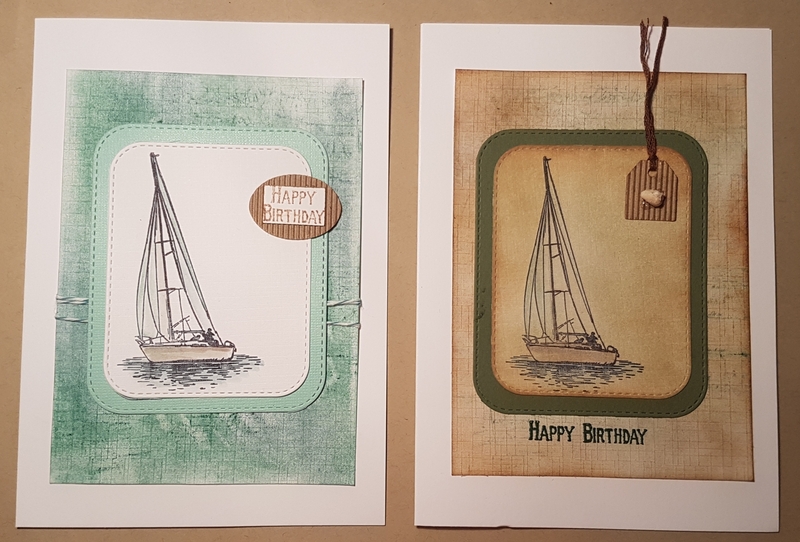 Then I chose my feature image from a magazine set (Creative Stamping magazine) and stamped it in archival ink before adding the watercolouring using the same distress crayons. Again the vintage one I also added the distress ink blending over the top to make it more vintage. 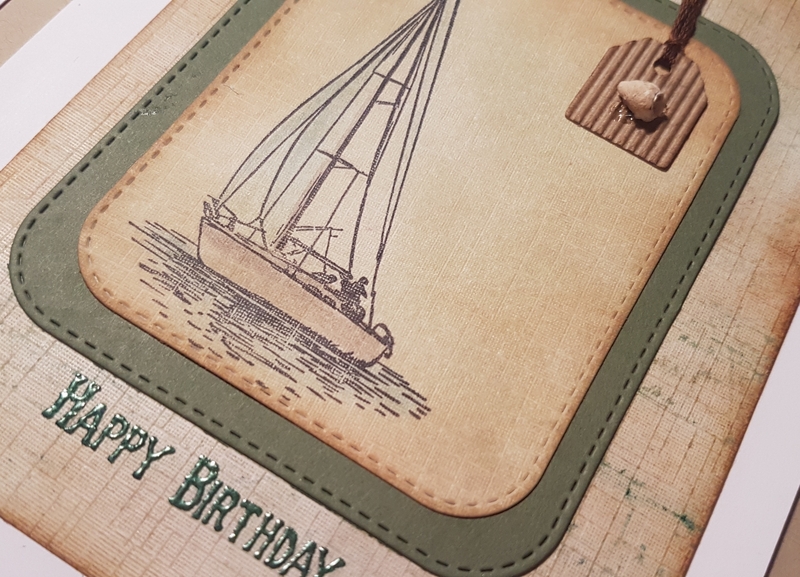 I chose to die cut the image and the mount using some stitched rounded rectangle dies and then heat embossed the sentiment on the vintage one. I also added one of the corrugated card embellishments and a tiny shell to this one with some brown thread. Then on the lighter one I added a few wraps of the bakers twine to the back panel and again a corrugated card embellishment to which I added the stamped sentiment. I love how the cards both look different but are similar in design. I also love how the backgrounds are subtle with their patterns. Not sure anyone but me would know what the pattern actually was! Loved playing with my distress crayons. Was nice to go back to a medium I hadn’t used in a while and play! 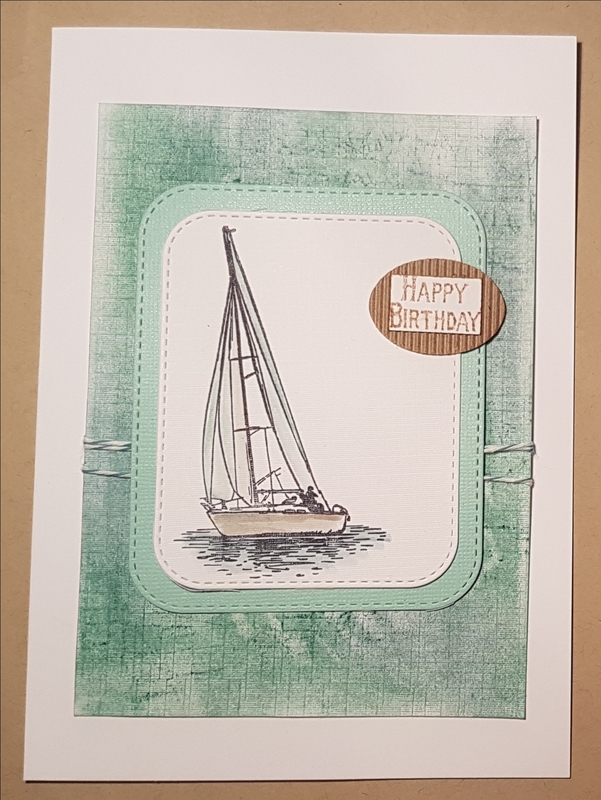 May have to do some more cards using the fun techniques that distress crayons lend themselves too.